"That" delay sound you've been waiting for is now here. The classic sound of the SDD-3000 digital delay, reborn as a pedal! 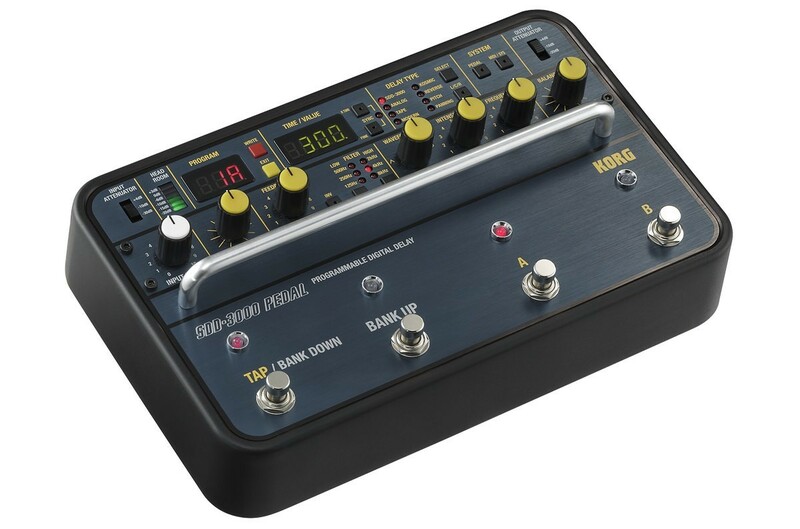 The SDD-3000 PEDAL packs all of the SDD-3000's functionality into a convenient pedal unit. Featuring a pre-amp with ample headroom, a filter circuit that modifies the feedback sound, and modulation waveforms that allow a diverse array of delay effects, it covers all of the SDD-3000's important elements. 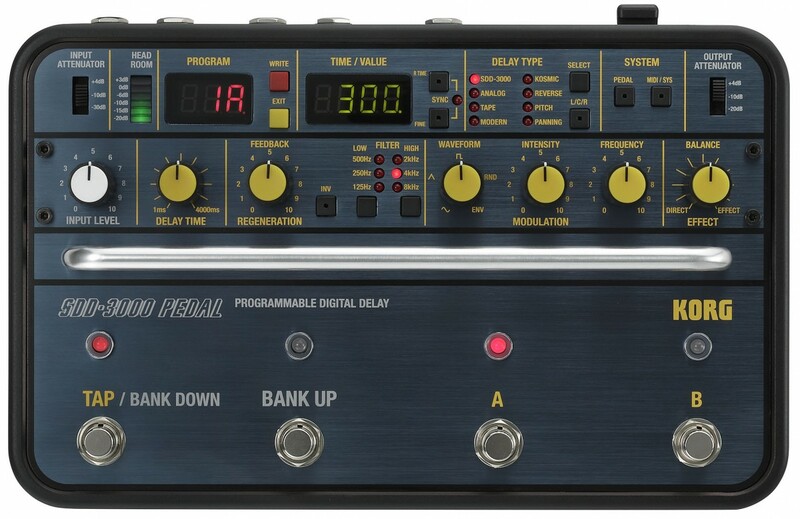 In addition to specifications that will satisfy SDD-3000 users, it provides many new functions such as eight delay types, long delay times up to 4,000 milliseconds, selectable modulation waveforms, stereo input/output, and MIDI compatibility. The user interface has also been updated for dramatically improved ease of use. 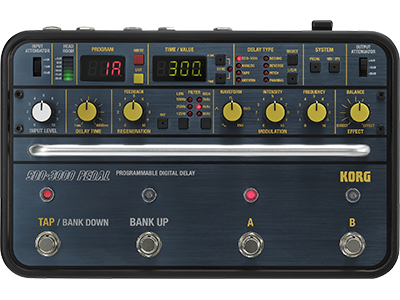 All features of the legendary SDD-3000 digital delay, packed into a pedal unit. Use special sound-shaping techniques such as flanging, chorus, vibrato, doubling, and Doppler effects.